Sell across the globe by optimizing prices in multiple currencies. 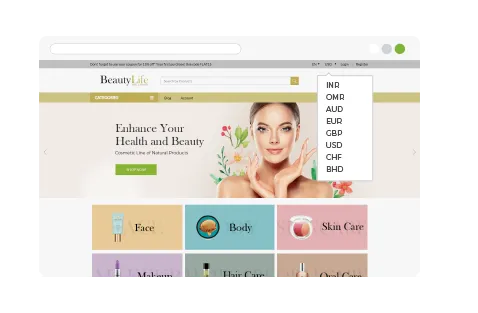 shop using their preferred currencies on your online store. 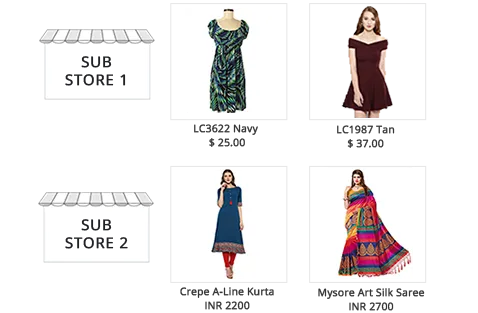 Gain loyalty and trustworthiness among global clientele with multi-currency options on your online store. No need to cross check currency fluctuations and update currency rates manually. Get all currencies listed on your site updated to current rates automatically on daily basis. Get support for unlimited currencies used across the world. Now no new market is beyond your reach as you allow your customers to buy in their local currency. Get IP based auto-switch to native currency with powerful inbuilt location and currency detector. Customers are not burdened with additional exchange rate charges which makes your store popular. Set sub-store based currency and direct customers to choose the designated store with their preferred currency. 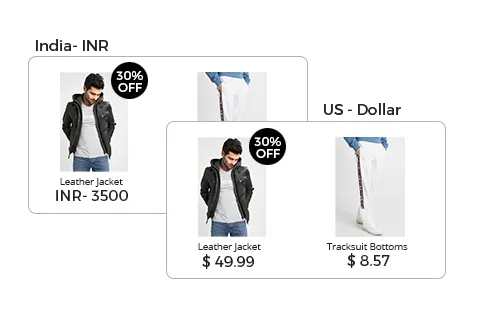 Set base currency for store and get all product prices, pricing rules, discount etc. in the chosen base currency for different sub-stores. In-built support for all currency types. 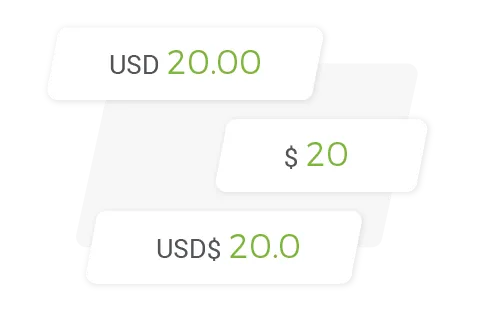 No need to use any additional plugin or app for using the currency conversion feature. Full support for currency conversion in themes as well. 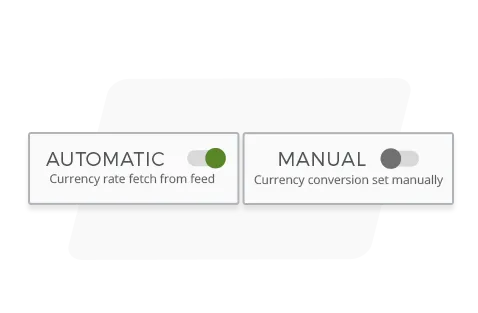 Control currency conversions with manual overrides. Also, allow customers to manually select a preferred currency from a drop down box. Get support for currency rounding off currency value as well as currency format. 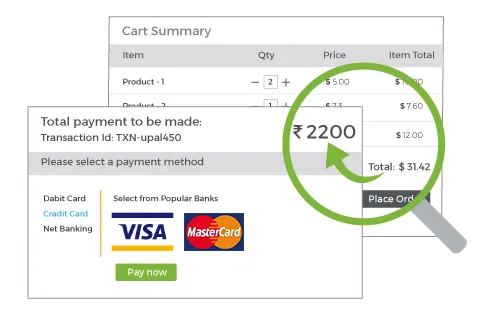 Set different rounding rules on different currencies for accurate real time conversions. Get payment level support for chosen currency. 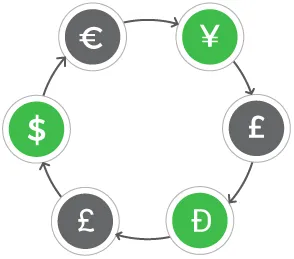 For example, if the payment gateway supports only a limited currency say INR and your customer has to pay in USD($), you can easily convert the transaction in USD($) at platform level and bill the customer accordingly. 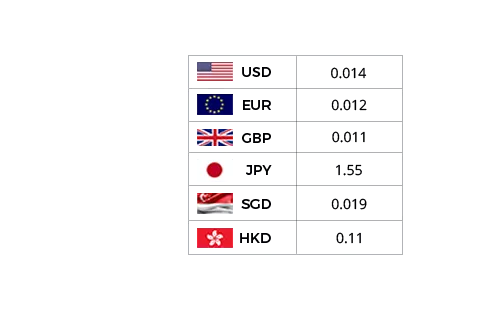 Generate invoices in the desired currency with full invoice support for multiple currencies. 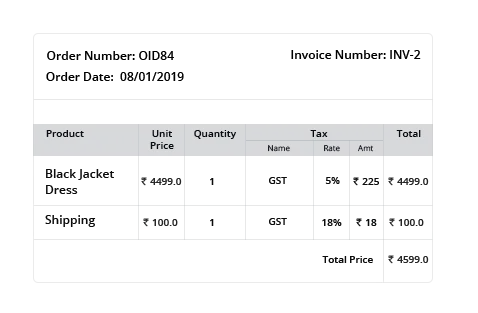 The final billing of any order can be done in the chosen currency allowing the customer to use the receipt/invoice for further record keeping.